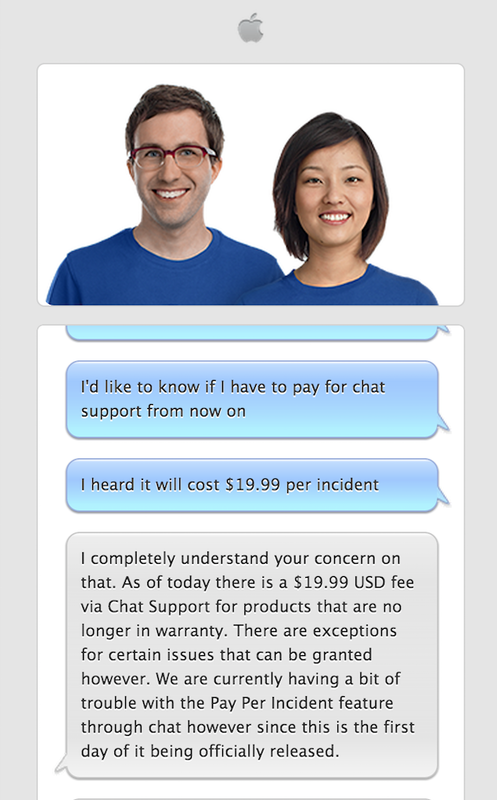 Following our report late last month that Apple was preparing to start charging for out-of-warranty online chat support, we’ve been informed that today Apple support has finally flipped the switch on the new feature and started charging customers. While originally planned for earlier this month, Apple has been having difficulties with a new payment system it developed specifically for the online chat feature. Apple is also introducing a new training program for AppleCare employees called “Here to Help” that it hopes will improve the overall AppleCare support experience. How it will work is I will be able to send you a link in our Chat that you would be able to follow. From that link you will then be taken to an Apple website that will allow you to put int your Credit Card information to make the payment. Afterwards it will update in my system showing me that you have payed for the coverage and that you’re now eligible for support… That is actually where we are having a bit of trouble today, in sending the link as it is now showing up as it should. Once it is working properly however it is a very simple process. Using the new web payment system, we previously reported that Apple plans to offer the ability to set up hardware repairs and replacements that require a hold on a credit card or pay per incident fee via chat support. As we noted in our earlier report, charging for chat support will allow Apple to close up a loophole that allowed users to get free technical or diagnostic support and avoid paying for over the phone services or AppleCare. Since Apple is still having a bit of trouble with the payment system, there’s a good chance you’ll be granted an exception for the payment today or until the problem is fixed. Apple will also continue to grant exceptions on a case by case basis for certain problems such as iCloud issues and accidental damage cases where users just want to setup a repair or replacement via chat. 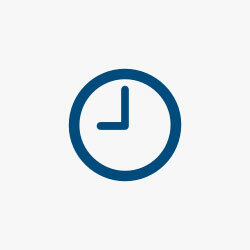 As for the new AppleCare program for employees, Here to Help will consist of three-day training sessions that Apple says “will transform AppleCare by sharpening our focus on our customers’ experience while continuing to provide fantastic product support.” The program will be available to all AppleCare Advisors in the coming months.